This is a guest review from Anthony Flores. With revelations about the National Security Agency’s surveillance, government secrecy has been in the news. Two recent documentaries, We Steal Secrets: The Story of WikiLeaks by Alex Gibney and Dirty Wars by Rick Rowley, happen to tackle this subject. It should be a fortuitous opportunity to add to this debate. Unfortunately, only one addresses the subject effectively. Since the first NSA stories, focus has shifted to the whistleblower, Edward Snowden. What should be about the government’s actions or people’s privacy is now about Snowden’s motives, Hong Kong’s extradition policy, or Snowden’s girlfriend’s dancing career. This is to be expected of a personality driven society like the United States. We Steal Secrets: The Story of WikiLeaks falls into the same trap. While We Steal Secrets is ostensibly about WikiLeaks, it gives just a brief mention of government secrecy or whistle blowing. Instead, the film focuses on two personalities: Julian Assange, WikiLeaks founder, and Bradley Manning, who released thousands of documents to WikiLeaks. This focus is ironic on multiple levels. Several interviewees condemn Assange for making the story about him, taking the focus from the contents of the secrets. The film than makes the story about Assange, taking the focus from the contents of the secrets. Another irony is the film has no interviews with the two subjects. Openness advocate Assange refused an interview. 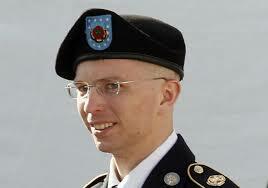 Manning is locked away. It must have been harder for the filmmaker to focus on these personalities. It is an unforced error. The film mostly ignores the WikiLeaks leaks. The exception is the infamous “Collateral Murder” video. This video, leaked by Manning, is the gun camera footage from an attack helicopter. The pilots mistook a video camera for a weapon and machine-gunned a crowd of civilian. The footage is the most compelling part of the film, yet it stands alone. Dirty Wars is the more successful film. The film follows journalist Jeremy Scahill as he investigates three incidents involving the US Military’s secretive Joint Special Operations Command (JSOC). It does not suffer from the same problems as “We Steal Secrets. 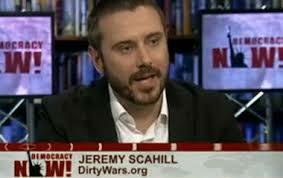 Scahill’s investigation is just the framing device. The film rightly focuses on acts of war that resulted in civilian deaths. A commando raid kills an Afghan police commander and some of his relatives, including pregnant women. A missile strike kills a Bedouin family in Yemen. A drone strike kills a group of teenagers, one of whom is American citizen Abdulrahman al-Awlaki. What follows each of these incidents is secrecy and cover-ups. Bullets are dug out of bodies to hide evidence. Dubious claims that the victims were “militants” or “terrorists” are issued. This film debunks these claims and gives names to the victims. It is brave, essential work. Dirty Wars is no easy watch. The bloodied bodies of victims are shown. One particularly troubling image is of an infant’s body, limp in death, killed by a US cruise missile. Because of this deeply disturbing material, I cannot recommend this movie to everyone. But if you care about the direction of the “War on Terror,” and you can stomach these tragedies, than this is an important film for every good citizen. It is good citizenship that is also at risk from excessive government secrecy. Democracy depends upon an informed and engaged citizenry. Too often, as in the cases in Dirty Wars, government secrecy is used to hide grave abuses of power. A culture of secrecy and silence permeates America’s National Security apparatus. In lifting this veil, Dirty Wars is as important as We Steal Secrets is supercilious. ← Was “Sneakers” 20 Years Ahead of its Time?